Before i discuss about how to prevent your android device from being bricked, Let me say most of you don't understanding what bricking on device actually means. What is bricking of a device? but it’s now as useful as a brick (or perhaps a paperweight). A bricked device won’t power on and function normally. It means your phone has the same fuctionality as a brick. If you can get into the recovery mode you are not bricked. I have never heard of ANYONE ever bricking an Android phone. ==>Keep USB Debugging enabled on your device. This will help you unbrick it if something bad happens. On Android 2.3 and below, go to Settings > Applications > Development. Tick the USB Debugging Checkbox to enable it. On Android 4.0 and 4.1, go to Settings > Developer Options and enable USB Debugging from there. ·On Android 4.2 and above, go to Settings > About Phone. In this screen, find something called Build number. Tap on it seven times to unlock Developer Options on your device. Then, follow the instructions you see after. A nandroid backup of a device is the full backup of your Android phone which can be restored at any point of time to bring it back to the same state when it was backed up. Obviously, when you backup your device, it is not bricked. And when it gets bricked and you restore the nandroid backup, it is not bricked! To take a nandroid backup of your device, you need to have a custom recovery like clockworkmod or TWRP. As an extra step of precaution, copy the backup files to your computer's hard disk or at any other place you consider safe so that you don't end up accidentally deleting them from your sd card. 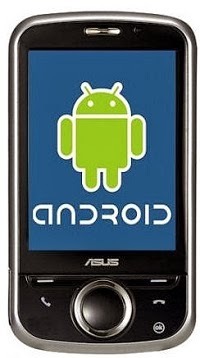 ==>Finally,Never install or flash your device with application not men’t for your Android phone. Ask question before you flash. Android phone is not Nokia or Blackberry, if you think it is, then ask chincoberry. pls help plus procedure on how to do nand-backup,clockworld mod and rom manager on my htc desire hd thanks.